Clark, a 1995 graduate from Northeast Louisiana University’s psychology program, combined a love and a dream in writing the book. Throughout her whole life, Clark has had a love for both children and writing, and she used these loves and her own ability to create the story. “I really wanted to write since I was a little girl. I didn’t know it was going to be this, but I am really glad and grateful to be doing this, especially in a day and time when we need it so much,” Clark said. Mercedes Clark, Antoinette’s daughter, believes the simple nature of children reading a book with children being kind to each other will make a world of difference. Antoinette said that we all need an acceptance of love, and she set out to do that in Sharing Bees. Antoinette along with illustrator Russel Wayne created a story full of human-headed bees with different hair textures, colors and styles as well as different races and hair colors. “One of the things I really wanted to focus on was inclusion- that we all are so much more alike than we are different,” Antoinette said. The book is based around a light-skinned, purple-haired bee named Sadie who exudes positivity throughout the book. Alexis Smith-Orange, assistant manager at Cinemark and the real life sister to Sadie, said the importance of the book is its ability to intrigue kids to go outside. 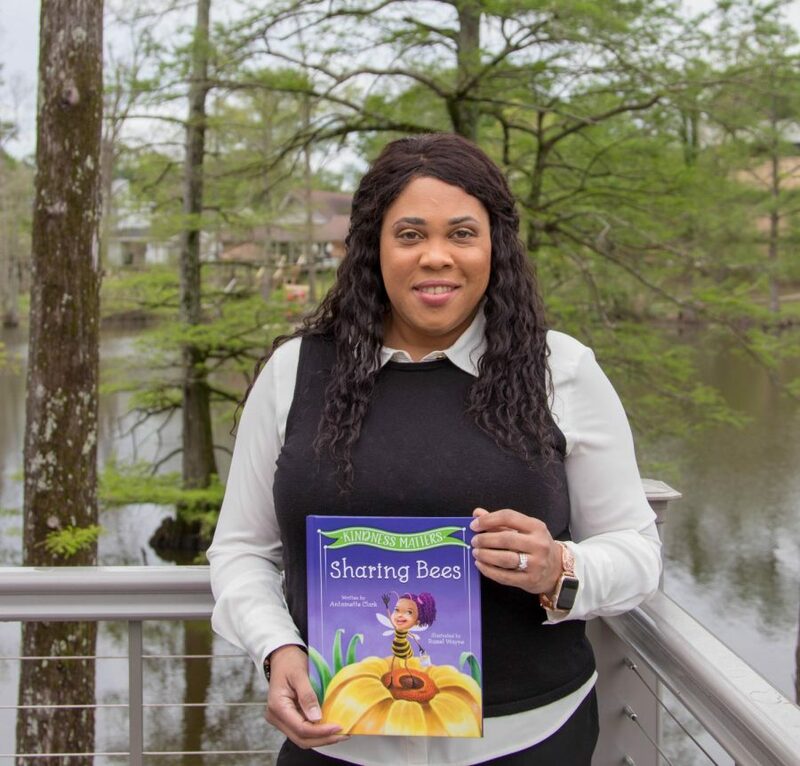 “I think that it’s great that [the book] is feeding into children’s minds and writing a book that inspires children and makes them ask questions about nature, bees and kindness,” Smith-Orange said. Antoinette’s desire was to do exactly those things even down to the ways bees interact with each other including having certain bees as guardians like they would be in the hive. The goal for Antoinette is to have more than just this book and expand on many of the characters over the rest of the series. “I’ll take the series as far as I think it needs to go and then we will branch off into something else. Each character in each book will have feature and will learn a different lesson,” Antoinette said.